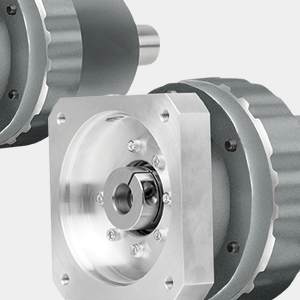 The ERH series is a compact, robust cycloidal reducer designed for servo applications. This product features high reduction ratios in a compact form factor. Its key advantage is exceptional shock load capacity, which eliminates the need to oversize the reducer for that requirement. 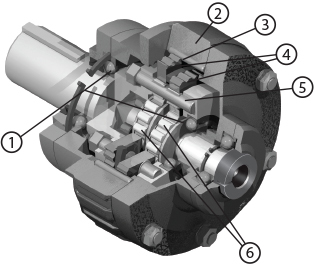 The dual pin housing of the ERH cycloidal provides the ability to adjust one wheel against the other, allowing us to reduce the output shaft backlash to less than 6 arc-minutes. Rolling contact contributes to minimal friction and high efficiency. Torque transmission elements experience compression—they do not shear. The long output shaft bearing span provides solid overhung load capability. The ERH is ideal for applications operating in heavier industrial environments, but requiring servomotor mounting and good accuracy. Its compactness offers advantages against helical gearing, which requires additional stages to achieve higher reduction ratios. Its high efficiency against worm gears allows our customers to downsize and still enjoy larger output power. The end result is longer service life and tremendous energy saving. 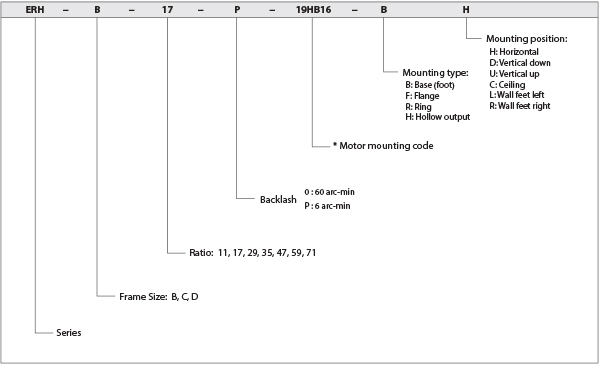 * Please contact us to assign mounting code for your motor.